Recently my husband and I decided it was time for us to take a vacation. We have faced a roller coaster of a year, and had not done anything since our honeymoon to Dreams Puerto Vallarta, Mexico, which was back in April 2009. As the approach came to our 2nd anniversary, we pondered at where to get away to. We had always thought of going back to our honeymoon haven, but it was something we thought we couldn't do, due to money, time-off, etc. By the end of the day, we decided to book our tickets, and reserved our stay at Dreams Puerto Vallarta. It was a dream vacation, yet again, and we were so delighted to celebrate 2 years of marriage where our marriage started off! We weren't honeymooners any longer, but everyone thought we were because we were just so relaxed and happy. Prior to our stay, I had reached out to the wedding team at Dreams Puerto Vallarta, to see if I could sit down with them for a bit to discuss all things weddings at their resort. They were more than happy to meet with me, and I was overjoyed. This was to be my first sit down with a major wedding venue since the commencement of this blog! When I met with the Dreams Wedding Coordinator Team in the Wedding Office, I was greeted with warmth and felt very welcome. The team is comprised of 3 Wedding Coordinators, Eleane, Esman, and Niza. Immediately conversation flowed and I learned a lot of great advice, which I am so happy to share with brides thinking about having a destination wedding, and more importantly, to have their destination wedding be at Dreams Puerto Vallarta. 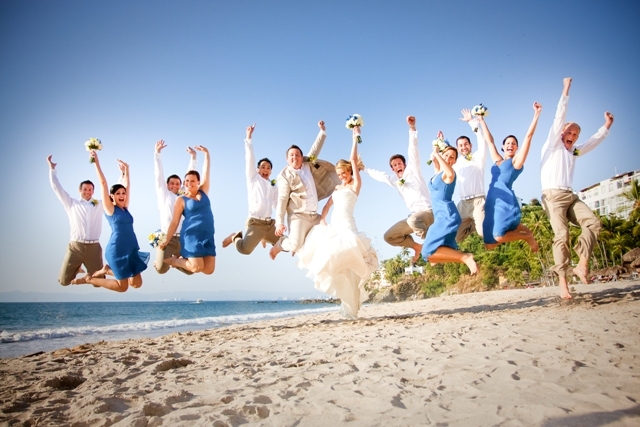 The Wedding Team at Dreams Puerto Vallarta really love what they do, and their passion shows. They want their to-be-wed couples to have as stress free of an experience as possible, to enjoy every step of the wedding planning process with ease, and to ultimately experience the beach wedding of their dreams! I will share here some facts about Dreams Weddings, planning details, advice, and highlight some unique attributes that make Dreams Puerto Vallarta stand out. -For the month of May alone-over 50 weddings booked! 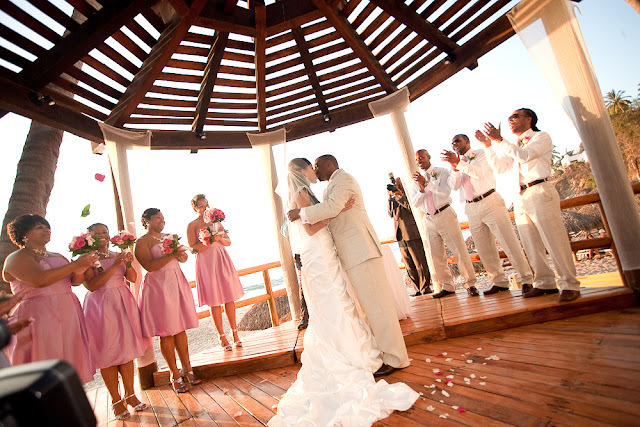 Wedding Season: March through early June is the most popular time for weddings at the resort. -The rainy season for Puerto Vallarta is June through October-nobody wants a soggy wedding on the beach, so this advice is very good to share. Countries where the majority of brides and grooms come from: USA, Canada and The U.K.
-Couples do come from all over the world to marry at Dreams PVR. Dreams welcomes all couples, straight and gay, to marry at their property. Dreams welcomes couples of all religions and beliefs. -A Justice of the Peace or a Minister is provided to oversee the ceremonial vows. If a couple would like their preferred individual to conduct the ceremony, they are welcome to bring them along, providing notice is given to the wedding team that this individual will be holding this roll. Click here to view all the facts and important documents and requirements, as listed on the website. -Adding colorful linens is an additional charge. *Note*-Having seen the white linens set up, on the beach with the ocean as the backdrop, as seen above, it is beautiful by itself, in my opinion. -If a couple wishes to provide their own added linens, for chair sashes, huppah embellishments, etc, they are more than welcome to bring them along. Wedding favors are left up to the couple to decide if they wish to have them. -If a couple wishes to give favors to their guests, best advice is to bring the favors with you. While I was meeting with the Dreams Wedding Team, they shared that a couple brought beach towels with them, embroidered with their names and wedding date, which were then dropped off at each of the guests' rooms. I saw the towels, and they were really cute. Advise the Wedding Team if you will be bringing favors with you and if you would like to request delivery to the rooms, or to be set up at the tables, so they are prepared. *Please note*: Any edible favors will be subject to search and disposal of while at customs. Avoid any food items for favors, it will save you money and stress! Complimentary steaming of the wedding gown and groom's suit is provided. -Worried about crinkling your clothes during travel? The team at Dreams is ready to help de-wrinkle your bridal attire, just an extra touch of making your day be as smooth as possible. Click here to view the different packages available to see what all is included, including photography, menus and other details and extras. If you are looking to experience a very unique ceremony, rooted deep in Mayan history, Dreams has you covered. 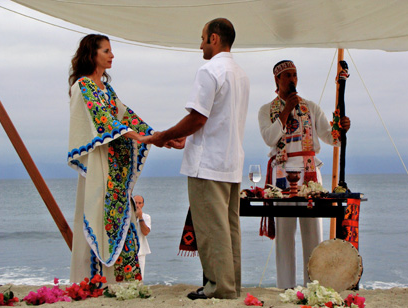 Along with Native Ceremonies, a company in Puerto Vallarta providing services to hotels and spas in the construction and design of Native Wedding Ceremonies, Dreams will help you with putting together your own Mayan Wedding, "rich in tradition and spirituality". Ask your Dreams Wedding Coordinator for more info if this unique ceremony idea is of interest to you. The most important question, which I didn't have to ask, as it was covered in the chat with the Wedding Team, was "Why Dreams Puerto Vallarta?" It is clear Puerto Vallarta is a beautiful location. Dreams Resorts and Spas are well known, along with their sister companies (Secrets, Zoetry, Now). The property is gorgeous, the food is amazing, and the service is excellent. So, why this location for a wedding? This fact makes deciding easy! The beach is 100% private. The resort is flanked by cliffs on either side of the property, meaning nobody who isn't a guest or resort employee is getting onto the property grounds-especially onto the gorgeous beach. You might have a few hotel guests be in awe at the sight of your dress and how gorgeous you are, but you won't have wedding crashers from nearby hotels and locals. Its a security issue, which makes the decision comfortable choice to know you'll be in a safe environment. 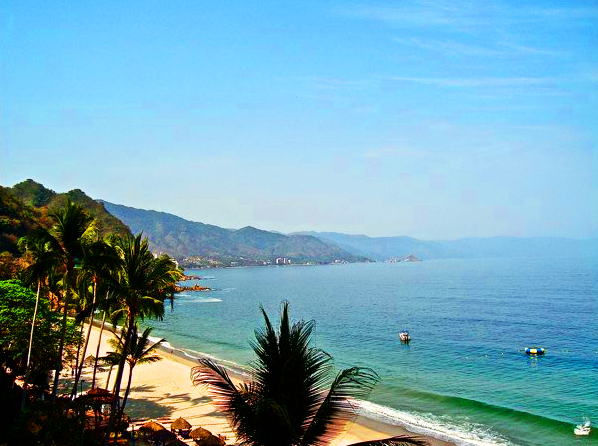 Very few properties offer a private beach in Puerto Vallarta, and if they do, well then it becomes comparing costs. Dreams' packages are very reasonable, the property is amazing, and the private beach aspect seals the deal for most. The private beach is rather long, enabling a few different spots to hold ceremonies and receptions, which two can be going concurrently at the same time, at either end of the property! 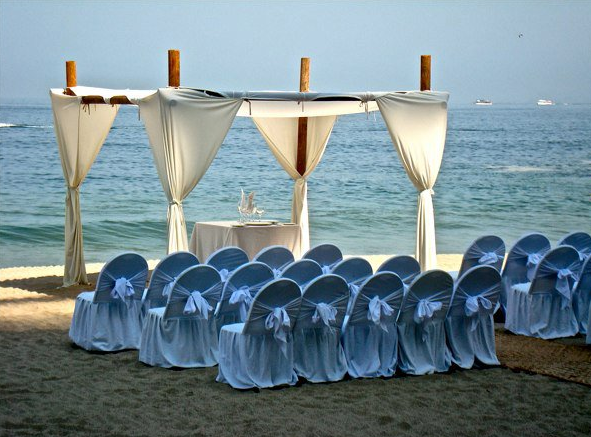 Choices for ceremonies are either at the gazebo or set up ocean-front, similar to aforementioned image above with the white linens. Usually the ceremonies are held at sunset, which adds to the romantic ambiance-its the icing on the cake! What's not to love about a wedding on a private beach, with the ocean breezes billowing your veil, looking into the eyes of your beloved, joined by your closest relatives and friends, all the while the setting sun casts glorious hues to the sky! 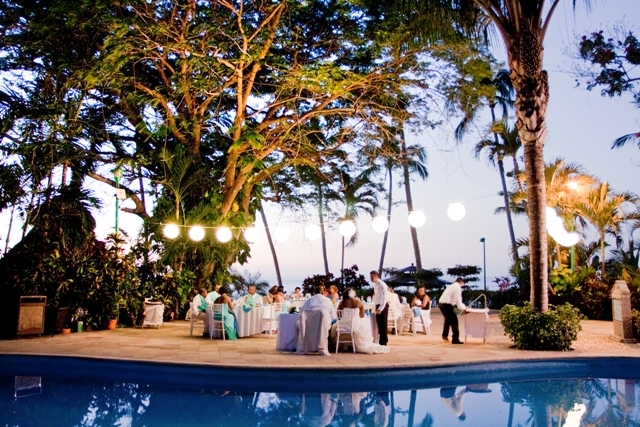 Its truly a sight to see, especially while you are exchanging your vows. Whatever brings you to deciding where you will have your destination wedding, look over this property and simply compare and read the reviews. From my own experience at the property, it is easy to see why so many flock to Dreams Puerto Vallarta for their weddings. My husband and I will continue to revisit the property, even for a wedding in the fall, and to possibly have a vow renewal at our 10 year anniversary! Happy planning and congratulations on your upcoming nuptials! A special thanks to the Dreams Resort and Spa Puerto Vallarta Wedding Team! Getting excited about my trip to Dreams Los Cabos this August!! Great interview and feedback. =) Glad you guys had a great time for your anniversary! PS Love your new header...great pics! Thanks, Diana, for the sweet comments! I was so excited to meet with them, and honored too. So glad you had a nice getaway! 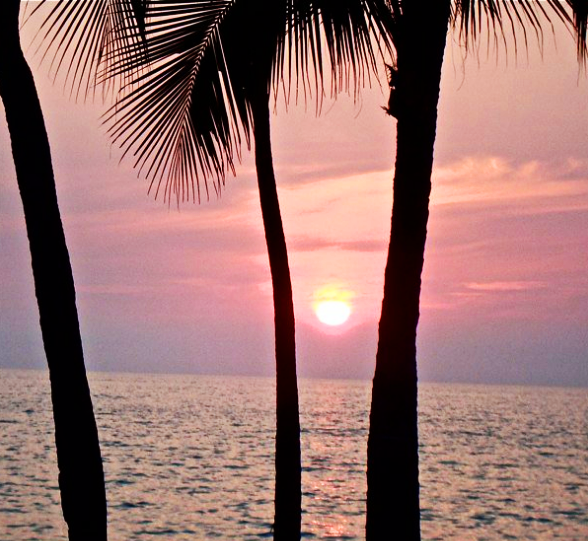 It sounds like the perfect spot - Puerto Vallarta is great. We'll have to put this on the list for the next time! For us it is perfect! I wish we could live there-at the resort!